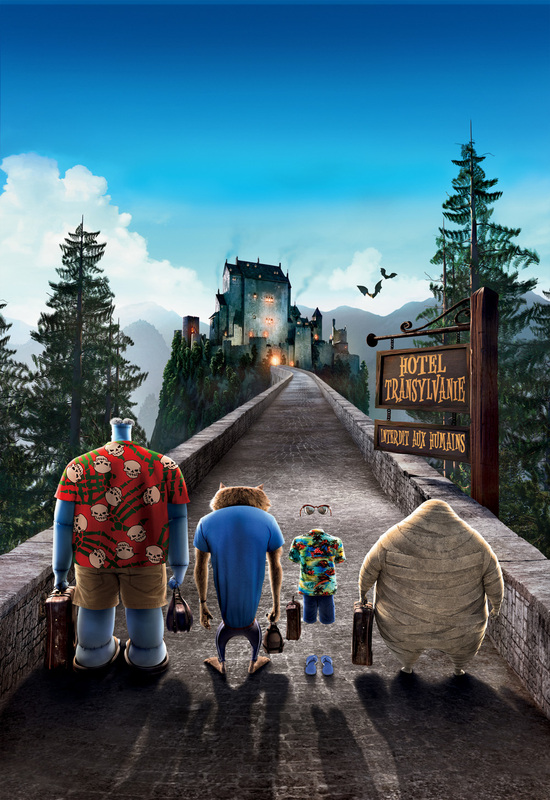 Home / Adam Sandler / Andy Samberg / Cee Lo Green / Columbia Pictures / David Spade / Kevin James / Molly Shannon / movie / Selena Gomez / Sony Pictures / Steve Busceni / Animated Comedy "Hotel Transylvania" Checks In Soon! 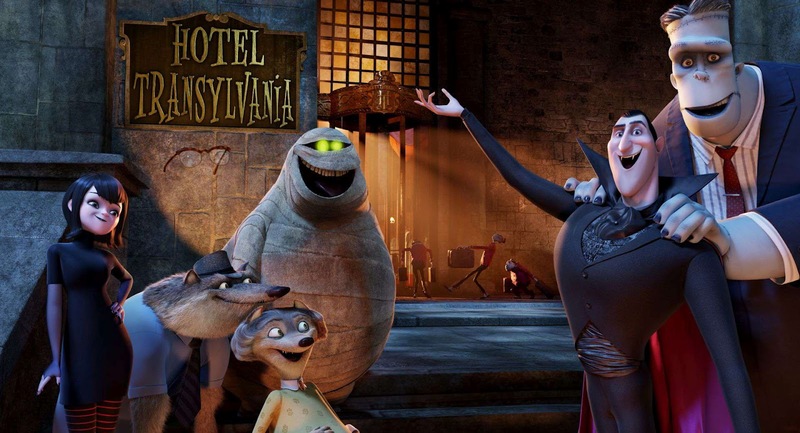 Animated Comedy "Hotel Transylvania" Checks In Soon! Welcome to “Hotel Transylvania,” Dracula’s lavish five-stake resort, where monsters and their families can live it up, free to be the monsters they are without humans to bother them. On one special weekend, Dracula (voice of Adam Sandler) has invited some of his best friends – Frankenstein and his bride, the Mummy, the Invisible Man, the Werewolf family, and more – to celebrate his beloved daughter Mavis’s 118th birthday. In the vampire world, that signals the time to break out from the sanctuary. For Drac, catering to all of these legendary monsters is no problem – but everything could change for the overprotective dad when one ordinary guy stumbles on the hotel and takes a shine to Mavis (voice of Selena Gomez). "It's refreshing to go back to the beginning of Dracula — and then have Adam Sandler put his spin on it," says director Genndy Tartakovsky. "There will be no sparkling skin. But there are a lot of jokes." The jokes come thanks to Sandler's pals who join him on the project — “Grown Ups” alumni Kevin James (Frankenstein) and David Spade (Griffin the Invisible Man). 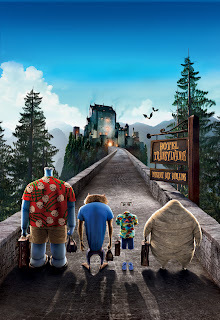 They join a monster team of voice actors that includes Steve Buscemi (Wayne the Werewolf), Molly Shannon (Wanda the Werewolf) and Cee Lo Green (Murray the Mummy). But all that changes when backpacker Johnny (Andy Samberg) discovers the place and falls for Mavis. Dracula disguises Johnny as just another partying monster, called Johnnystein, and then tries to sneak him out to avoid alarming the guests. "They stumble upon a female skeleton taking a shower as they try to get out," Tartakovsky says. "Dracula is really apologetic." Producer Michelle Murdocca says Sandler was attracted to the project as the father of daughters Sadie, 5, and Sunny, 3. "It's a story of an undead dad who is overprotective, and Adam can relate to that. Even now, he's right in the thick of it." It was also monstrous fun to see Sandler work with his comedian friends, says the director. Tartakovsky encouraged the stars to do their voice work together. "I said we need that chemistry to show these monsters are a family," Tartakovsky says. "When those guys were together in a room, it was just an explosion of energy."